The classical selection of beautiful motifs defines the artistic creations of Magda Pišotek. To these she successfully adds an innovative selection of colours, interesting horizontal and vertical cuts into the created atmosphere, and subsequently reveals an interesting artistic world. Through seemingly simple motifs, secret stories are unfurled in the midst of the greenery. These stories are fractured, shrouded in darkness, foggy and distant as our souls. Current Employment: Mount Lilydale Mercy College, Lilydale, Victoria, Australia as Year 7 Level Coordinator and Teacher. 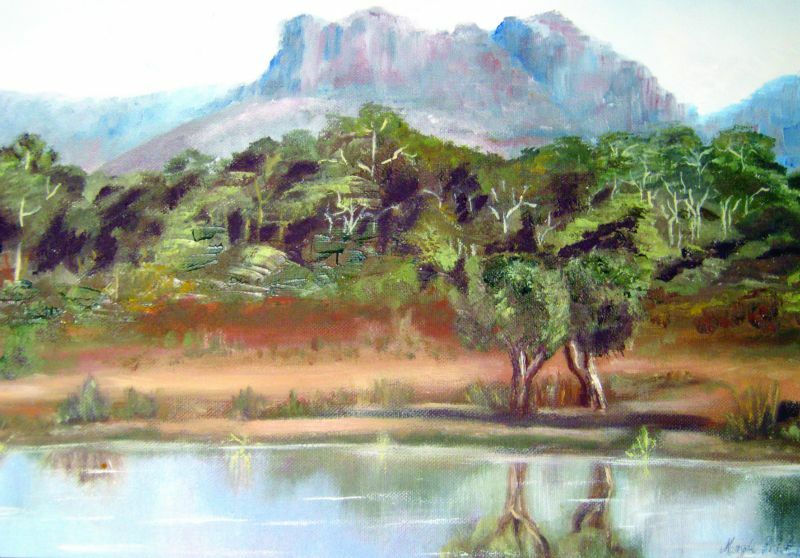 Professional Artwork: Studied art at secondary level, tertiary level and continued as a hobby, studying for 5 years with the artist Mr Terry Collins. Exhibitions Entered: Paintings were entered at various exhibitions. Secondary school level at “Sienna Convent” Camberwell. 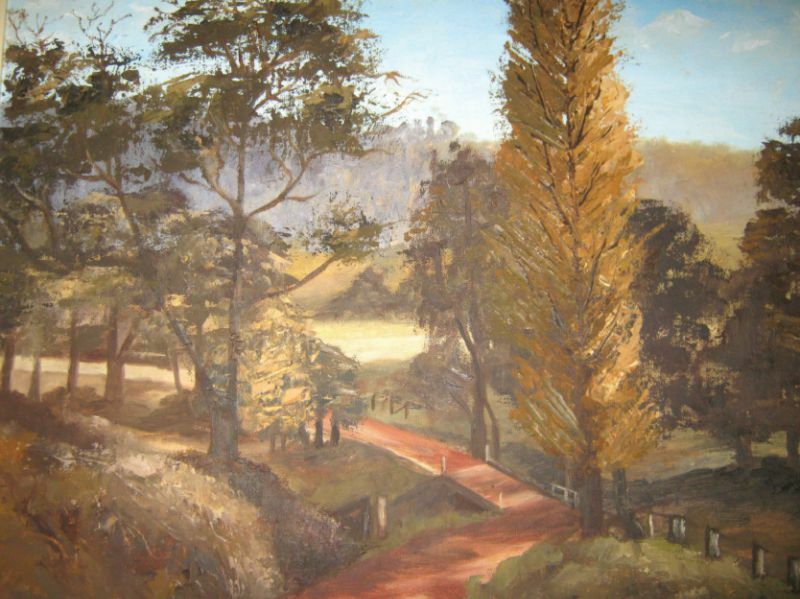 University level where art was studied “Christ College” Chadstone. 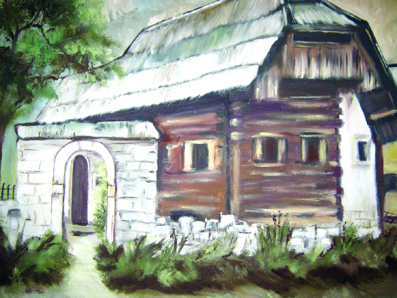 Paintings were also exhibited at the Slovenian Association, Eltham. Awards: Recognition of artwork at the primary school level – Grade 6 Art Award. Secondary school level – Art Prizes and recognition of artwork, starting at Year 7 through to Year 12. At university acknowledgement for artwork. “From an early age I always wanted to draw and paint pictures. I enjoyed portraying different scenes which enthused my imagination. Even more studying the History of Art at the secondary level of education encouraged me to draw and paint. Looking at the different styles of painting was fascinating and became interesting when ideas could be incorporated and used in my own work. My main influence was during my school days where my teachers played a huge part in my development of art, my love of art and in particular the study of art history. Throughout my school years, teachers would encourage me to express myself through my artwork and in particular through painting. Through my appreciation of art I began looking closely at the various styles and what style was I adopting. I tried abstract work where I used colour and shape in my paintings to show emotions. I was amazed by Monet and the way impressionistic paintings unfolded. Usually in bold colours with not a lot of detail. The paintings in this style were usually outdoor scenes like landscapes. The pictures were painted to look like they were shimmering. I also admired Vincent Van Gogh, Paul Gauguin and Paul Cezanne in my earlier days of painting, as I enjoyed their still lifes, landscapes and their use of colours and shadows. Van Gogh and Gauguin expressed their inner world and Gauguin who would paint from his imagination rather than use nature as a model. I was heading towards realism, painting things as they really are! Terry Collins under whom I studied for five years was a realist artist and he greatly influenced me in that direction. 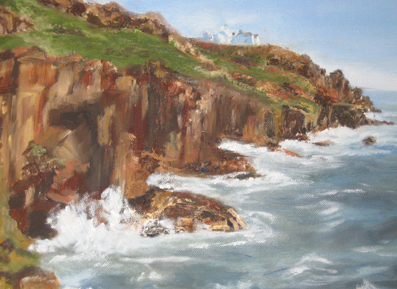 My paintings were becoming more realist landscapes. I felt it was important to be able to express oneself through art. I believe that a painting traces and records our thoughts, aspirations or desires. Art reveals aspects of one’s identity and it expresses what one loves and values. Hopefully the work is appreciated giving sensual pleasure to the admirer as well as an inspiration to others. 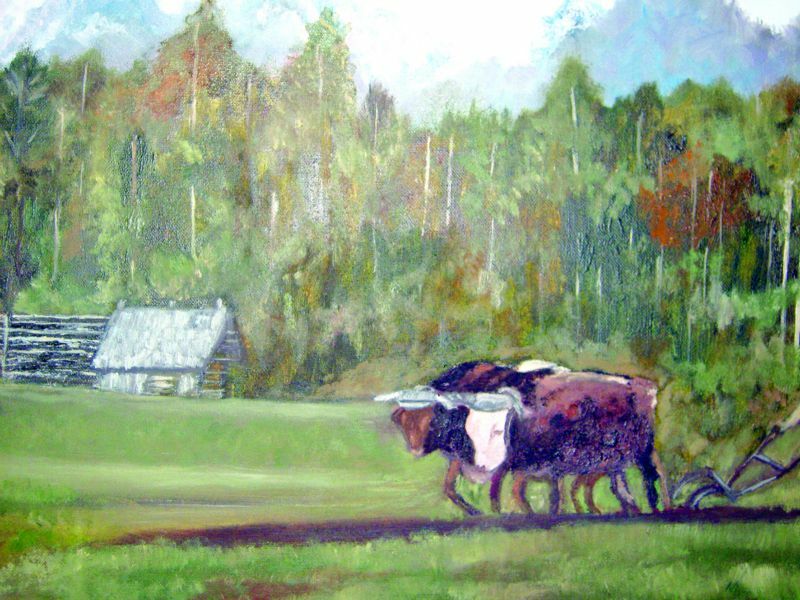 Oils have been my main medium, although in my earlier days I used charcoal and acrylic. 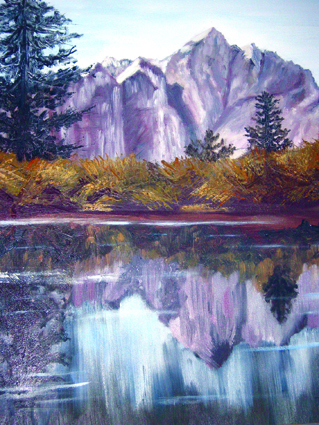 I felt that my landscapes were best portrayed in oils. 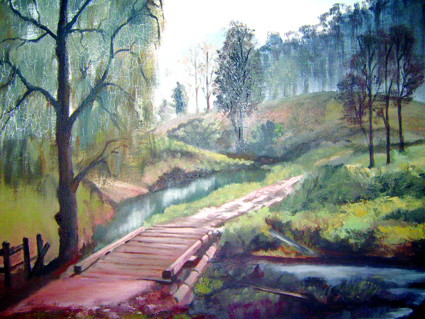 I also enjoyed the way I could use oils and their mixtures gave me a large range of colour to use in my paintings. Over the years my work has evolved and changed. This being due to the influence of my teachers as well as colleagues whose work I have immensely admired. The world of art is something special. The environment and life experiences have a motivational influence on one’s work, reflecting emotions and the person you are and what one values. 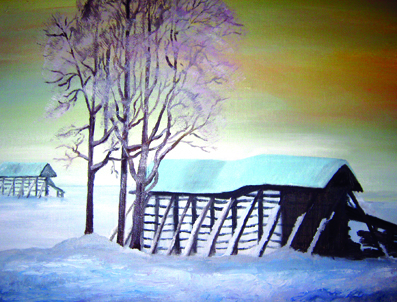 The paintings that I have painted depict the two beautiful countries which I love. 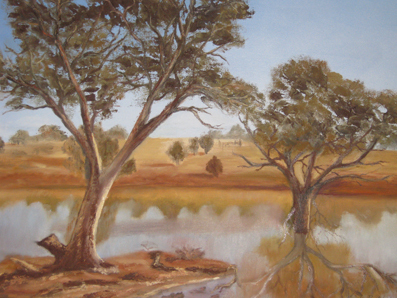 The Australian countryside, its mood and beauty which I wanted to capture. At the same time the admiration of Slovenia my birthplace, my roots. A land full of natural beauties that I too wanted to portray and depict its beauty and way of life.